American Airlines is one of the largest commercial airlines in the world. The company has hubs in several major U.S. cities, has flights to 344 destinations, and employs more than 120,000 people. You can find a link to get an American Airlines application in the application links at the bottom. In the 1920s, airplanes were primarily used to transfer mail. There were dozens of small companies running mail flights throughout the decade. American Airways was formed in 1930 from a merger of 82 smaller air transport businesses. E. L. Cord acquired the business in 1934. He gave the company its current name, and hired Cyrus Rowland Smith, who was president or CEO until 1968. The flight company was the first to make enough profit by flying passengers that it no longer needed to rely on mail delivery. The Douglas DC-3, created by Donald Douglas and C. R. Smith in 1936, made that possible. Always innovative, the company hired Bonnie Tiburzi in 1973, making her the first female pilot of a major airline. Today, the company is a subsidiary of American Airlines Group, Inc., which is traded on the NASDAQ as AAL. Both the parent company and its subsidiary are headquartered in Fort Worth, Texas, with CEO Doug Parker and President Scott Kirby. The company’s assets total well over 40 billion dollars, and it has a fleet of 970. The airline industry has numerous employment opportunities available in Administrative Support Services, Cargo, Customer Service, Engineering, Financial/Accounting/Audit, Flight Attendant, Human Resources, Information Technology, Marketing/Planning/Sales, Operations/Maintenance/Mechanics, Pilot, PL-Network Planning, PL-Revenue Management, Professional Baggage Analyst, Professional Flight Development Engineer, Professional Maintenance Planner, and Safety/Security/Environmental. Many of these departments have entry-level and higher level career options. If you are interested in entry-level positions, you can browse job opportunities at the website and find jobs that require just a high school diploma. The company is always hiring people to be trainees for specific job titles. You can apply online for trainee positions at the website at the bottom. How old do you have to be to work at American Airlines? You must be 18 to work at American Airlines. Age requirements and education requirements vary by job title. Be sure to read the job description carefully before filling out an American Airlines application for a specific job at the website below. The airline provides a comprehensive benefits package to its employees which includes health and life insurance, 401(k), career development opportunities, and travel discounts. The airline is always open for business, with flights running at all hours. Holidays are especially busy. Staff can be expected to work any hours, and delays can mean shifts don’t always end when they are supposed to. Agent – Fleet Service – A Fleet Service Agent loads and unloads luggage, marshals planes at the gates, and maintains aircraft. Other responsibilities include cleaning plane interiors and servicing lavatories. Candidates must be at least 18 and have a high school diploma and driver license. Physical strength is necessary. Pay is typically around $10.00 per hour. Trainee Flight Attendant – Bilingual – The airline hires people who are fluent in English and one of various other languages to be attendants on specific routes. Flight Attendants serve food and beverages, and meet customers’ safety and comfort needs. Candidates must have a high school diploma, be at least 20, and have proper travel documents. Experienced Flight Attendants earn $27.00 per hour, on average. Professional Baggage Analyst – As a Professional Baggage Analyst, you would handle claims of damaged or lost luggage. You would work with other departments to track bags. This position requires a bachelor’s degree, several years of relevant experience, and proficiency in necessary computer software and operating systems. Pay for this title is generally around $20.00 per hour. Aircraft Maintenance Supervisor – The Aircraft Maintenance Supervisor ensures that equipment and staff are working correctly to maintain safety standards, under the guidelines of upper management. A degree is preferred, and at least five years of related experience is required. Salary for this position starts around $50,000 per year and goes up. Do you think you would enjoy seeing the world? Many careers for the airline will be at specific hubs, but some require traveling to far off locations. If that is something you’d enjoy, let your interviewer know that you have the right mindset for the job. You can fill out a direct application at the website. Can you tolerate long shifts? Some flights are very long, and flights are often delayed due to weather and other reasons. Many jobs in the industry require employees to continue working until a flight is over. Flexibility is a real asset in this business. Your interviewer wants to know that you will be able to work long term with an irregular schedule. What are your qualifications? Education and work experience requirements for American Airlines careers vary widely. Even entry-level positions have age requirements. Be sure to bring any documents or licenses you may need with you to your interview. You can find out job requirements when you apply for American Airlines jobs online. How well can you tolerate people with different backgrounds from yours? If the position you want would involve you working with the public, you will be exposed to people from all over the world on a nearly daily basis. It is important that you can provide customer service to people who may not be able to communicate with you very well. How far could someone push you before you lose your patience? Your customers and your coworkers will often be stressed from long hours of travel and waiting. Problems like delayed flights or missing luggage will cause tempers to flair. If you can maintain a calm disposition, you could be a real asset to the business. Professionalism is very important in this industry. A business suit is appropriate dress for an interview for American Airlines jobs. Be sure that you meet all of the specified requirements for a position and be able to prove it before going through the free application process. You can fill out applications at the website. 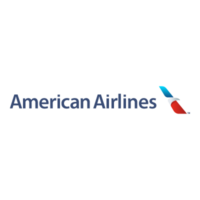 If you would like to know how to apply for American Airlines online, go to the website below. You will be able to look for local jobs, or browse jobs by type. You will have to register with the website to begin the application process. You won’t need your resume for the online application process. There is no printable application form to fill out when you apply for jobs at American Airlines using the online application form. While you can’t download application form or get a printable application for American Airlines, you will be able to apply for hundreds of available jobs at the website below.